Is your company still using paper questionnaires? They’re inefficient to hand out and collect back, handwriting can be questionable and half your respondents get bored before they reach the end – right? There’s no doubt that audience feedback is an incredibly important insight, but it’s 2018 – there are better ways to collect it. If you’re working with a live audience, electronic data collection is the way forward. Why is an Audience Response System (ARS) better? Firstly, the palm-sized voting keypads are intuitive to use and far less cumbersome than paper surveys, and responses just require the quick push of a button. Even the novelty of being handed a credit card-sized keypad is enough to capture the audience’s attention at many events. Secondly, an ARS is interactive. Rather than giving your audience a mute document for them to fill out in isolation, an ARS invites discussion with your participants as you go through questions and they submit their answers. It feels integrated into your presentation or workshop, rather than simply tacked-on at the end. You can also show your survey results live, as soon as everyone has submitted their response. This provides its own discussion point, unique to each audience. If you start asking for feedback early in your presentation (rather than leaving it to the end), you can even use these responses to inform the next step of your presentation, covering any knowledge gaps or simply building on the answers you’ve received. This makes what you’re saying more engaging and relevant to your audience – something that would be incredibly time-consuming to do with paper forms (and virtually impossible with larger audiences). Finally, there’s the data collection element. You don’t have to worry about missing a response or deciphering confusing written answers, and nor will you need to go through each response manually – far from it. The CLiKAPAD system automatically collates responses into a database (which can be combined and segmented by demographics data if you have it), in a format that is accessible to anyone in your organisation that needs it. Interested in trying an ARS? 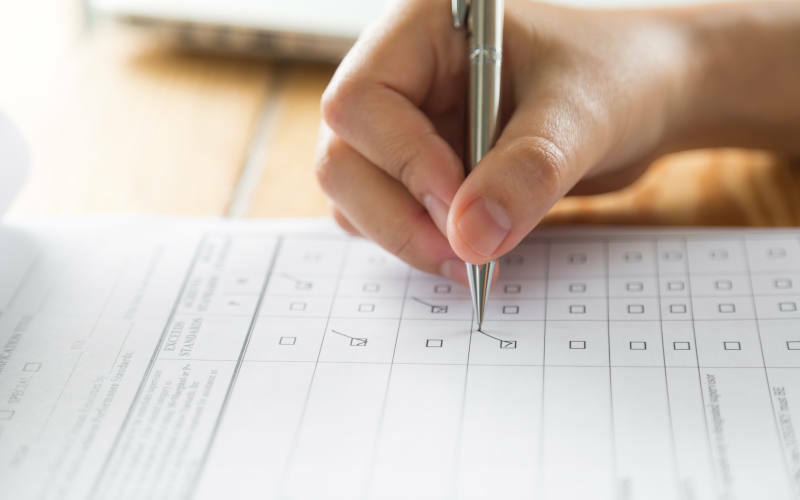 This has been a very quick overview of how an ARS is faster, more engaging and more efficient than outdated paper surveys at getting meaningful customer feedback. At CLiKAPAD, we’ve worked with such a wide variety of clients that we only need to hear a little bit about your requirements to understand how, specifically, an ARS could benefit your workshop, industry event or product demonstration. If you’re interested in bringing your customer feedback processes into the future, contact us today. With purchase and hire options as well as the expert guidance of our in-house teams, implementing a modern ARS system is easier than you might think.